USA Once again becomes the world’s most competitive economy! 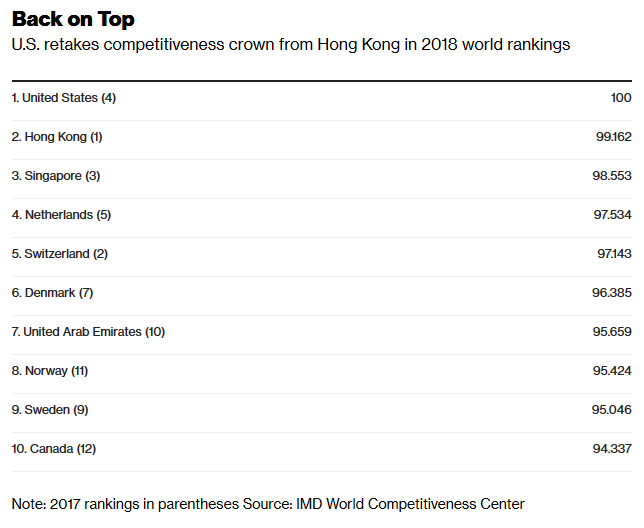 The U.S. dethroned Hong Kong to retake first place among the world’s most competitive economies, thanks to faster economic growth and a supportive atmosphere for scientific and technological innovation, according to annual rankings by the Switzerland-based IMD World Competitiveness Center. The U.S., which reclaimed the No. 1 spot for the first time since 2015, scored especially well in international investment, domestic economy and scientific infrastructure sub-categories while earning below-average marks in public finance and prices. The renewed top ranking aligns with the positive U.S. growth narrative over the past year. Growth averaged 2.9 percent in the four quarters through March, versus 2 percent in the prior period. IMD used 258 indicators on economic performance, government efficiency, business efficiency and infrastructure, and gave weight to “hard” data, including trade statistics, twice as heavily as “soft” sentiment data. The group has published the results every year since 1989. 5 Responses to USA Once again becomes the world’s most competitive economy! That’s a great photograph, too. It speaks volumes about what we can produce. 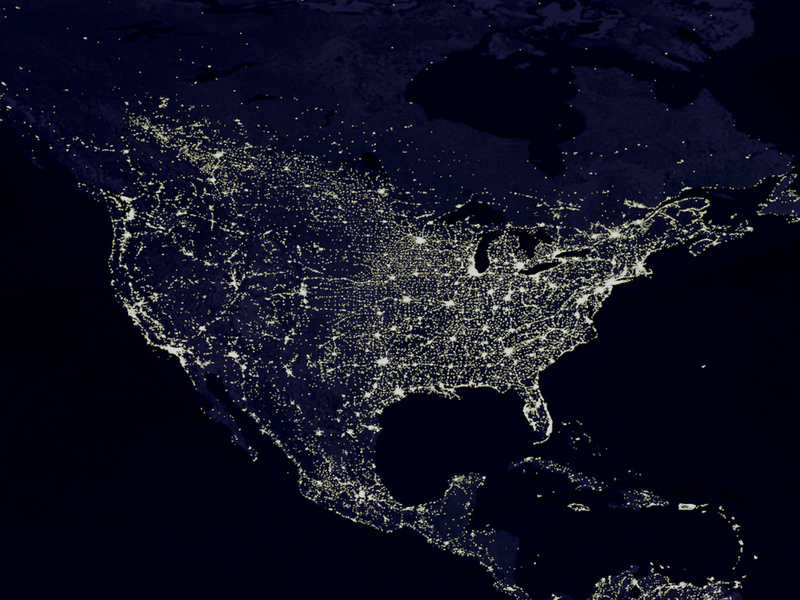 We literally light up the planet. That may be metaphor. Not sure. Waiting for Obama to tweet that Trump’s economic successes are racist as now his supporters will be forced to go to work rather than sit around and whine about not having a job. Think I’ve said this before but we had a huge copy of the world ‘night light’ satellite pic this was taken from hanging in our office. Some wag hung a sign under it saying: “Can You Find North Korea?”. It was quite obvious, a neatly outlined totally black spot in the middle of all that Asian light. Why is it I keep running into the ‘sarcasm impaired’ nextdoor?